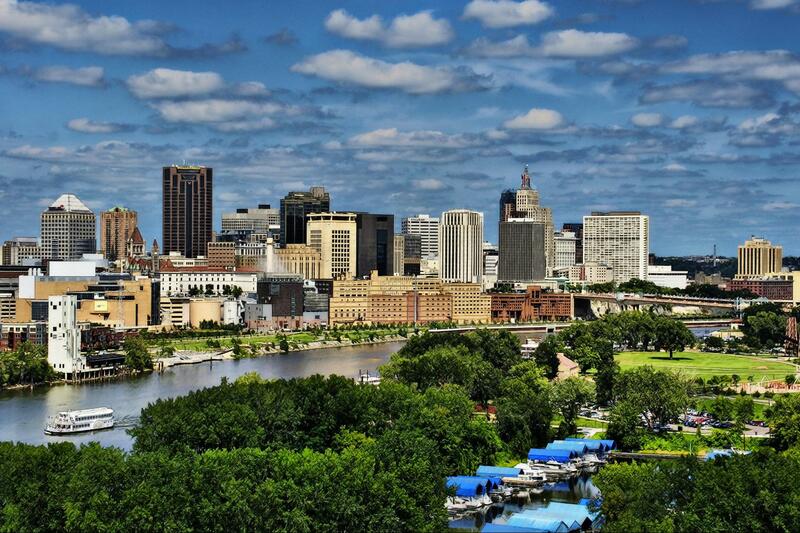 St. Paul, Minnesota along the banks of the Mississippi River. This week I’m attending the annual meeting of the American Association for State and Local History in St. Paul, Minnesota, where I’ll be part of a couple educational sessions, debuting my new book on the interpretation of African American history and culture, and concluding my term on the Council. The Minnesota Historical Society has worked hard to encourage participation and radio raconteur Garrison Keillor is giving the keynote address, so this is expected to be among the largest annual meetings in AASLH’s history. The AASLH annual meeting has lots going on including more than 70 sessions and workshops, evening gatherings at the Minnesota History Center and Mill City Museum, a dozen tours of local museums and historic sites, affinity group luncheons, poster and pop-up sessions, an exhibit hall of vendors and companies, and lots of receptions. It’s an ideal place to keep up with what’s happening in the field as well as catch up with my colleagues and friends. If you won’t be able to make it in person, consider attending online (deadline to register is 5 pm on Wednesday, September 17). This entry was posted in Community engagement and tagged American Association for State and Local History, Conny Graft, debb Wilcox, Kent Whitworth, Kim Fortney, Lee Wright, Mary Ellen White, Minnesota, Minnesota Historical Society, Tim Grove, Visitor Counts on September 16, 2014 by Max van Balgooy.